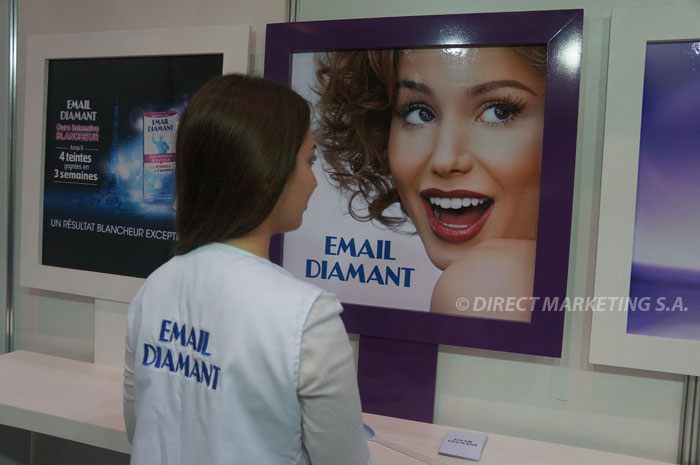 Email Diamant | Activations & Events | Brands in Action | Direct Marketing S.A.
For our second collaboration with Email Diamant, we used new technologies to create the needed interaction between the consumer and the brand to serve the product activation. 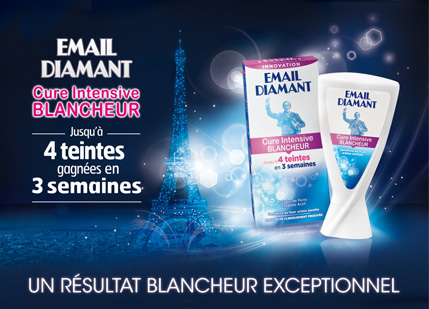 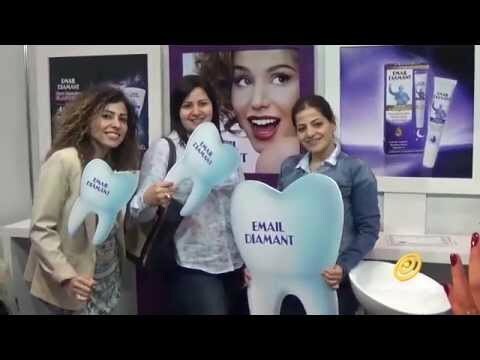 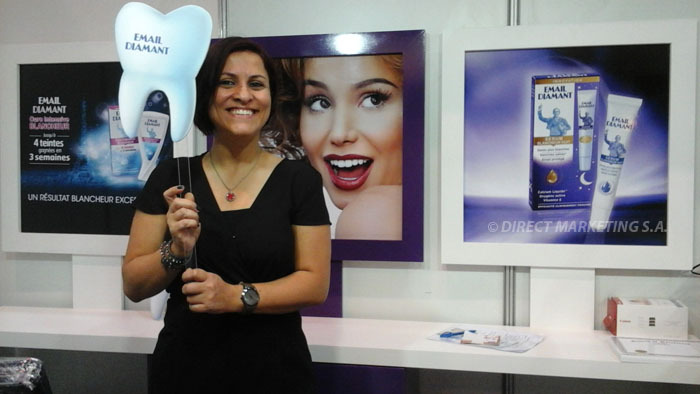 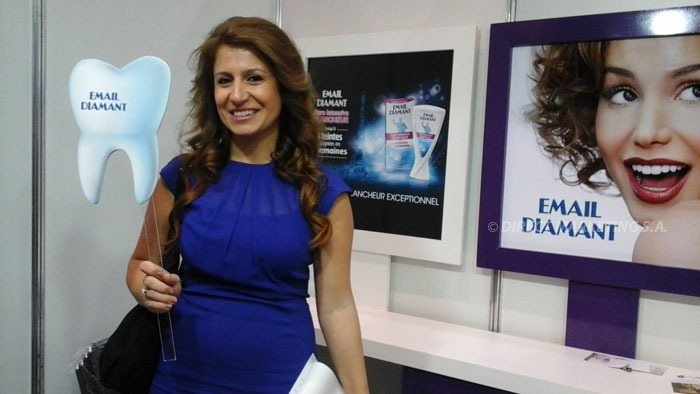 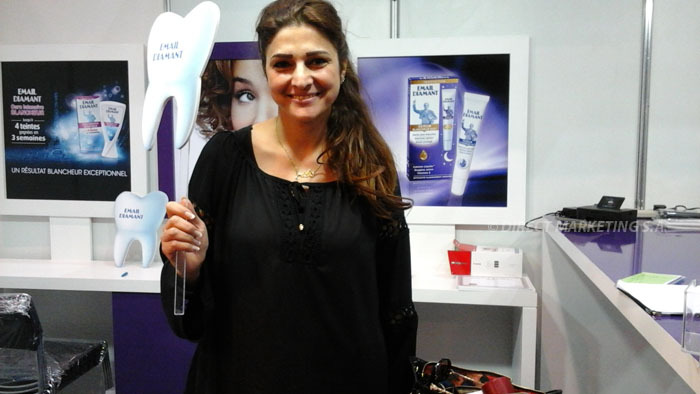 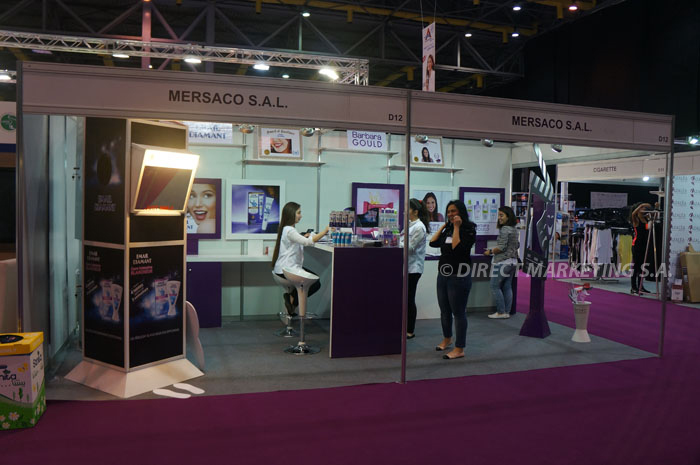 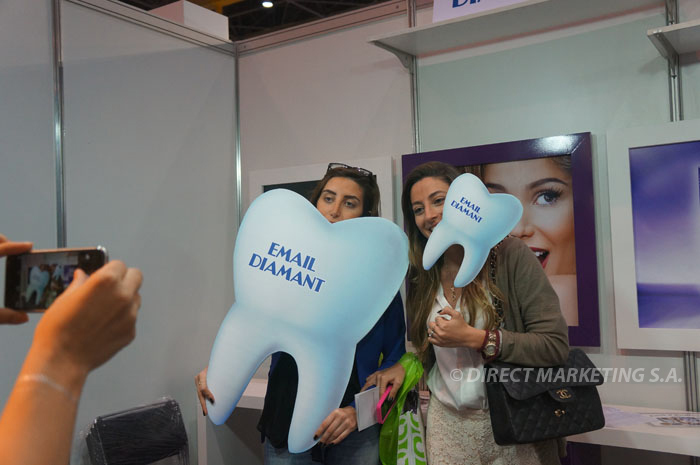 This time around we were at the Women’s World exhibition, where Email Diamant was launching its Cure Blancheur and Sérum Blancheur Nuit toothpastes. 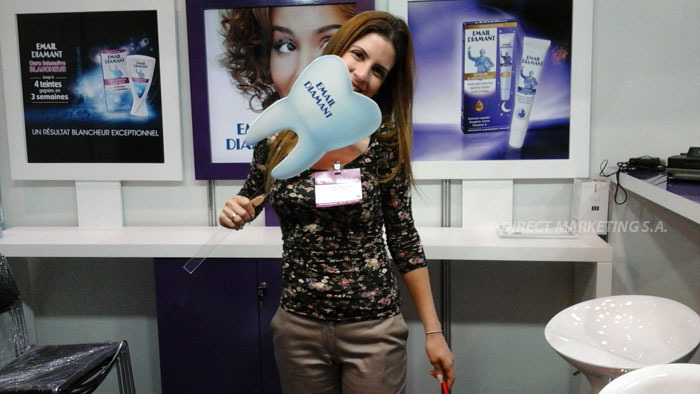 We outfitted our branded booth with sensors that triggered an alert whenever someone was in range. 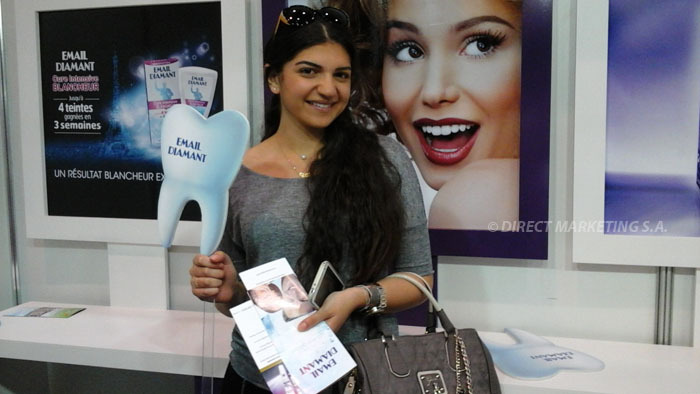 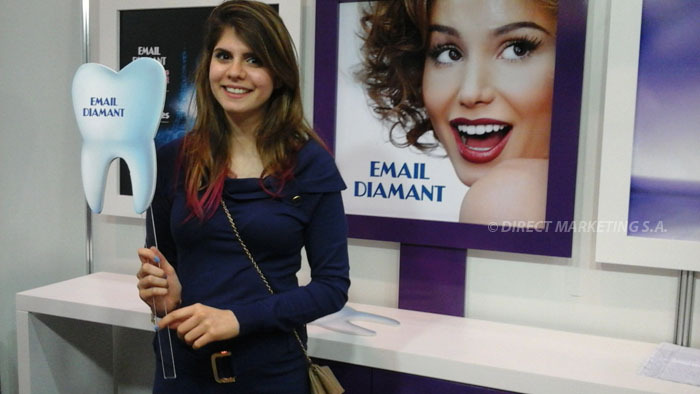 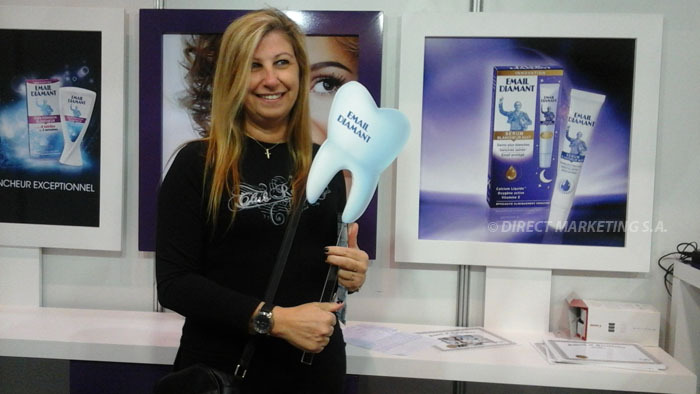 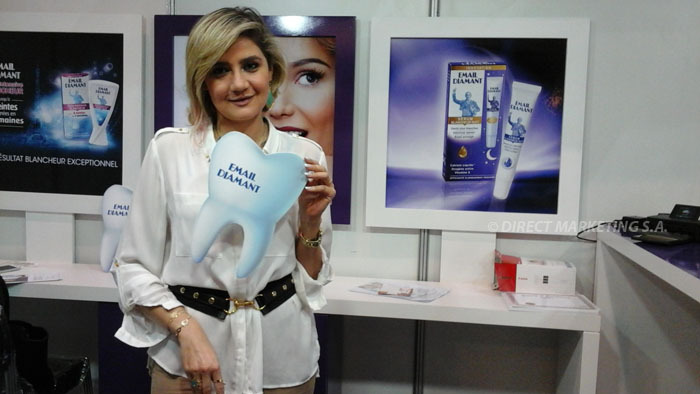 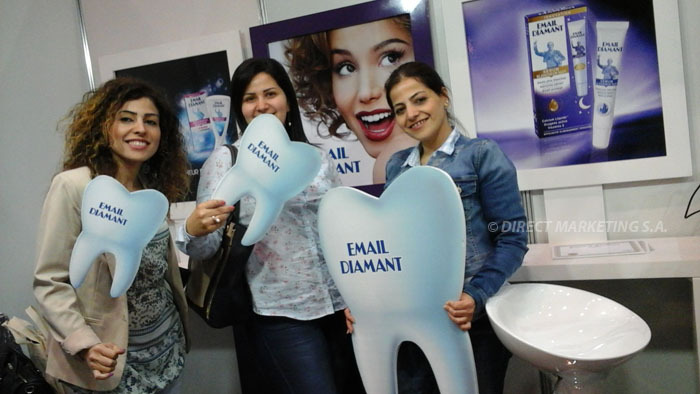 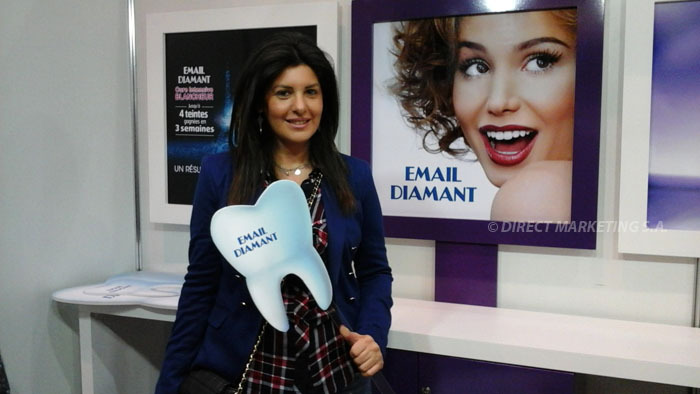 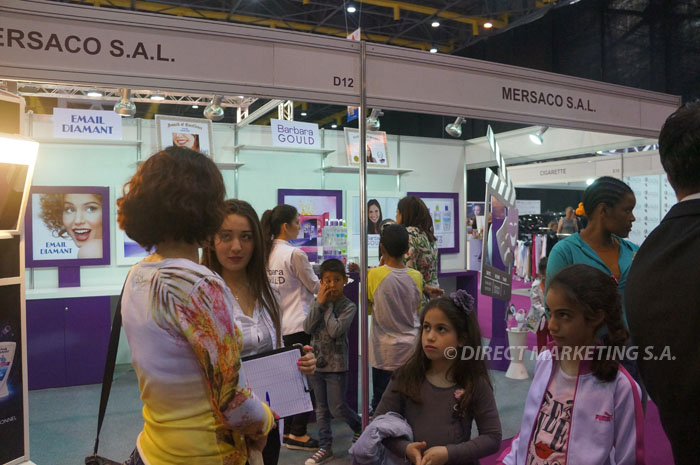 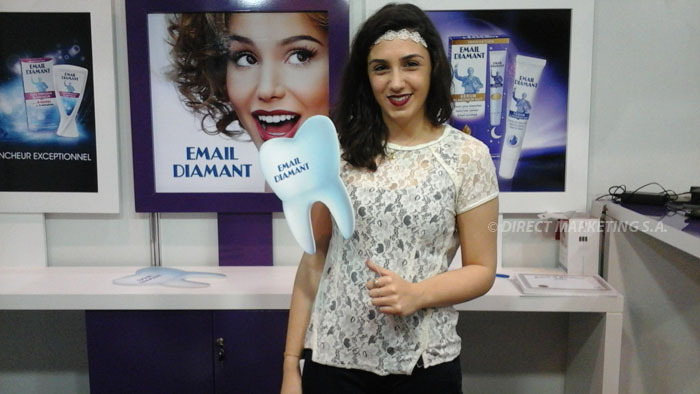 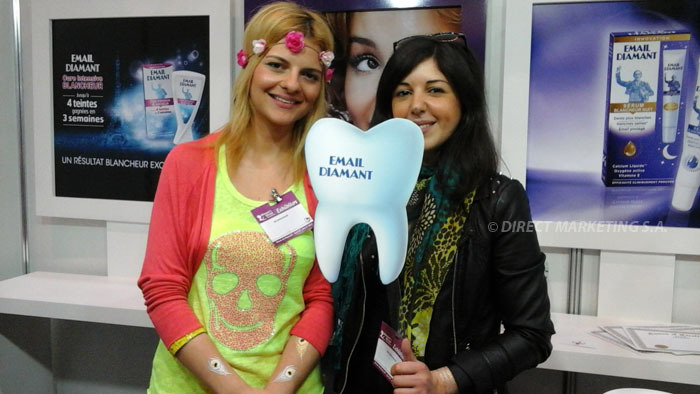 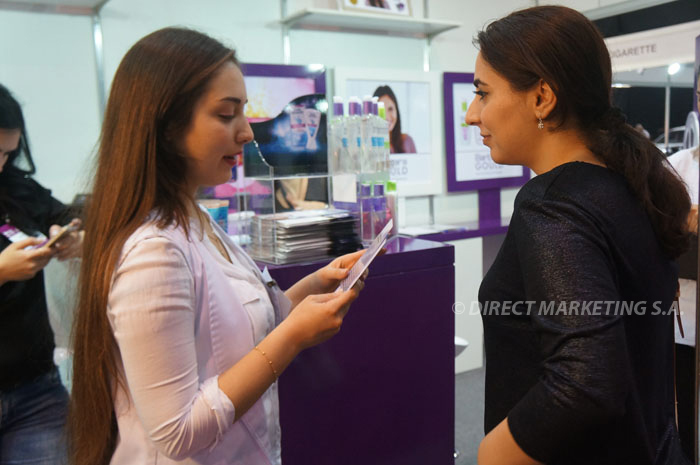 Our promoters then engaged with intrigued visitors and introduced them to Email Diamant’s latest products. 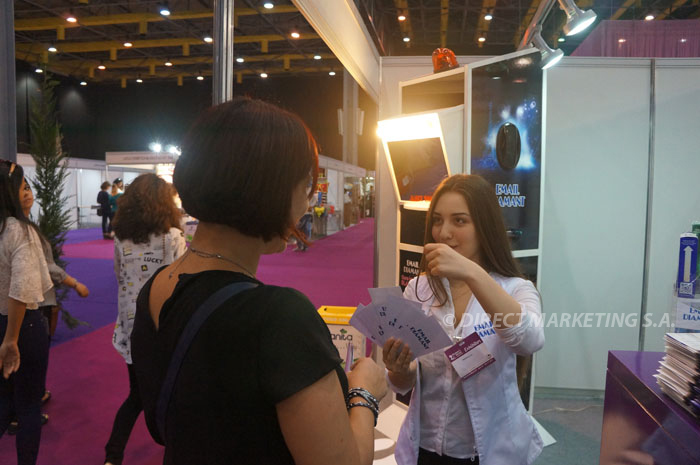 They also invited them to play a flashcard game, by answering questions. 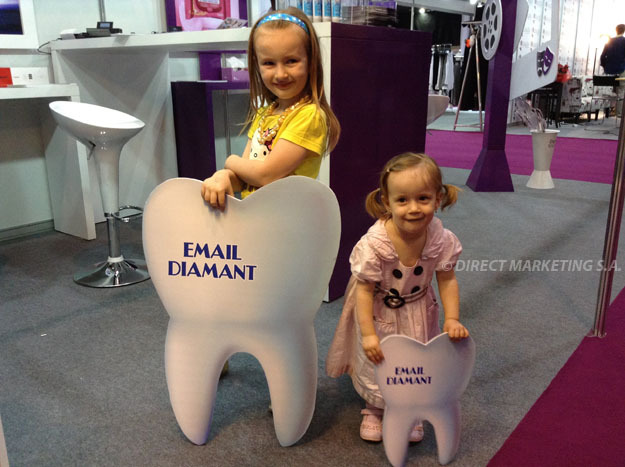 When visitors answered correctly, they could have their pictures taken and printed on the spot. 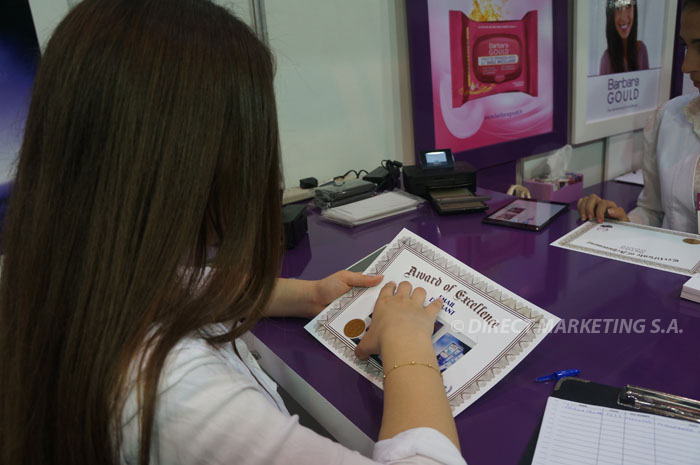 For that, we used tablets that we connected to high-res photo printers.